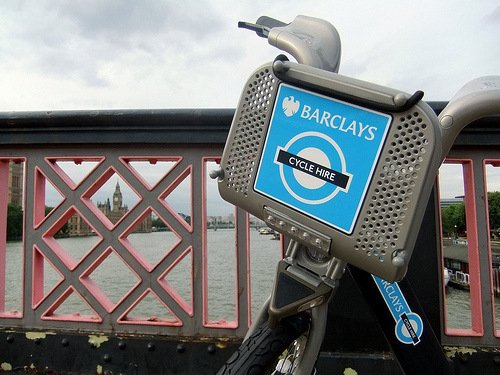 The cycle hire scheme has had a troubled birth with technical issues and escalating costs. While the users of the scheme undeniably find it useful, whether the scheme is value for money overall is open to question. The business case would help solve this but TfL are still seemingly unwilling to release it. This can only lead to people thinking they have something to hide. The cycle hire scheme is now up and running at least for the “pioneers”, as TfL are calling the guinea pigs who have signed up for keys in the last month or so. It’s clear that people do like the scheme and no doubt there will many more users as it takes root. There have been a number of startup issues, given the scheme has a high IT component this should not be a surprise and it looks as though it will be sometime before casual users can utilise the bikes. Despite this positive start, I still feel however that there are a number of important question about whether the scheme represents good value for money. I wrote about the Freedom of Information request that I have currently pending with TfL earlier in the month. At the time I was happy to give TfL the benefit of the doubt on their unwillingness to publish the business case for the cycle hire scheme. The best part of a month later and I’m still without this data and my patience is rapidly diminishing. It’s probably worth detailing why I think having the business case in the public domain is a thoroughly good idea. One of the first blog posts I ever wrote here was why in a time when resources are limited, asking tough question about how you spend that money is more important than ever. So for cycling, ideas that are funded don’t just need to be good ideas that might encourage people on to bikes, they need to be the best and most effective ideas that we can come up with. I had thought it was a pretty straightforward request and even when I wrote earlier in the month I’d expected it would be a few days delay. As I said at the time it should be something you either have or you don’t. No such luck. Five emails later and nearly two months elapsed time and TfL can still not give a date when the data will be released to me. I’m not normally conspiracy theorist but I can’t help but feel if there wasn’t something in there a bit surprising there wouldn’t be such reluctance to release such a basic project document. Whether its because the cost has risen again, the benefits are not what were expected or the return on investment wasn’t all that special to begin with, TfL are doing themselves no favours by prevaricating. If this business case really does show its an excellent scheme, they are even more ill-advised to be holding off. In the spirit of transparency that Boris promised when he came to power, this data should be in the public domain now without further delay. I am in the process of registering a complaint with the Information Commissioner – wish me luck! 7 Responses to What are TfL hiding about the cycle hire scheme? Hi Helen. It’s a good point, anecdotely it seems that a big part of the usage is by commuters dumping Tubes/buses for bikes. That’s going to lead to a loss of fares. As part of the same request I specifically asked for any research they had on what the predicted modal shift would be and how that compared to other project types (e.g. Additional cycle lanes). Hopefully this will help as well. As you say – projected loss of revenue from those who would usually use bus or Tube for the final leg of their commute and from those who usually use these modes for their entire commute within the bike hire scheme area should have been factored in. Did you know that 2011 has been designated as the Mayor’s Year Of Walking? I’ll be interested to see the conflict between promoting both walking and cycling as one mode is obviously a source of revenue for TfL (although I can’t see the bike hire scheme ever breaking even). Have you had a response from either TfL or the Information Commissioner? Alas not. TfL are still quiet. I had an automated email from the ICO. It indicates they might take up to 30 (yes that’s three-zero) days to respond with a substantive reply. I’ll follow up with TfL later in the week with email number 6.